In the above examples, the immediate payoff comes when the other person raises an eyebrow upon hearing the news. His or her lips purse together in faux concern. Now both of you are playing along. And both of you can walk away feeling morally superior to whomever. And for the briefest of moments, you are distracted from your own struggles. But it does no one any good. Ephesians 4:29 puts such talk in its place: “Do not let any unwholesome talk come out of your mouths, but only what is helpful for building others up according to their needs, that it may benefit those who listen.” Is the talk coming out of that person’s mouth “wholesome”? Was that poor soul whose name was just dragged through the mud built up in any way? Did you need that update? 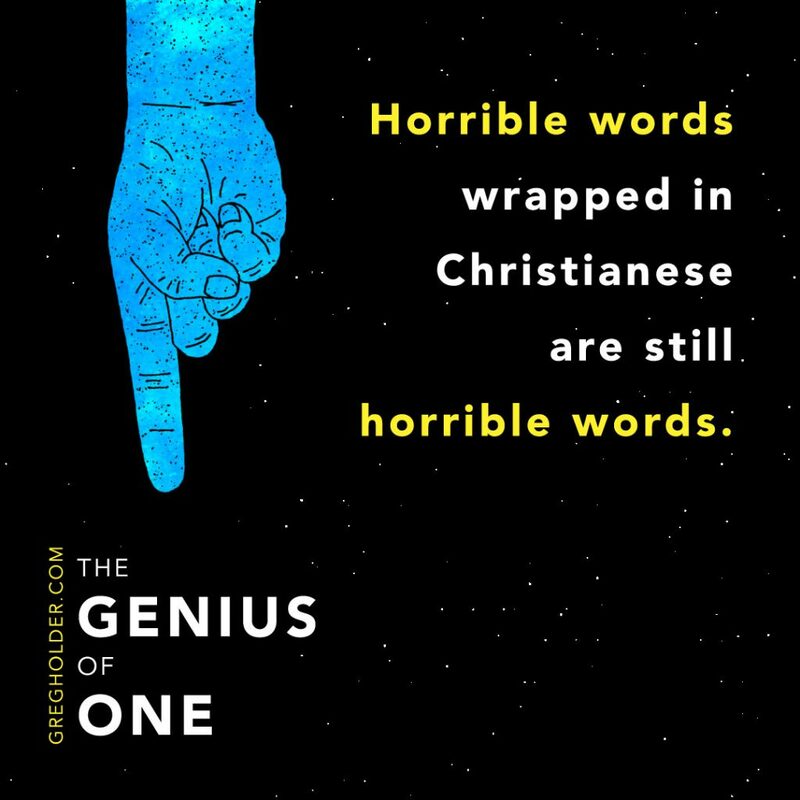 Horrible words wrapped in Christianese are still horrible words. An interesting phenomenon of our day is the accidental call placed from your phone. Oftentimes we refer to this as an anatomically assisted dial. (The colloquial term is more picturesque, but I’ve said enough.) Let’s just say that sometimes people unknowingly make a call from their back pocket. I’ve been told this can happen from within a purse as well. Many of us have received such a call. It’s awkward, because you are now essentially eavesdropping on a conversation you innocently tapped into. Still, you really should hang up. Many have of us have also inadvertently placed that call. When it dawned on you someone had been listening in, did you play back the conversation in your head to make sure you hadn’t said anything ugly or embarrassing? Or there’s this variation on a theme: Have you ever gone too far with your words and then looked down at your phone—just to make sure it was off? I’ve heard well-intentioned people suggest things would be far different if we imagined ourselves speaking all our words in front of Jesus. And that makes sense. That should matter. But apparently it doesn’t. Apparently we forget our lives are lived before, as Hagar said, “the God who sees me.”[i] Gulp. Until that comforting and convicting thought sinks in, try this: Take the split-second dread that you’d been found out by your friend and pull it forward—right before you say those words in the first place. Are these just mind games? Maybe not. Think of it as way to establish a new habit. For just a week, a month, a year, imagine that person listening in when you speak of him or her. What if you were on speakerphone for the whole team or small group or neighborhood to hear? How would your words be different? It is an interesting little exercise, that one. What you just told me—is that true? How do you know this to be true? Where did you hear such things? You will rarely get answers to these questions, but their mere presence will throw a smoldering blanket on the sparks of this potential wildfire. So much of what we whisper to others is half-heard, half-baked, half-true. Like children participating in a party game, we murmur an already distorted story in someone’s ear, and it only gains more inaccuracies as it’s passed down the gossip network. At each stop, this “true story” leaves more hurt and dissension, picking up steam along the way. We are so prone to believe the worst possible explanation that it will not take much for trouble to brew. The perverse person of Proverbs 16:28 stirs things up. This is what happens. Things are stirred up—true, half-true, or not at all true. But now there is dissension. Do not give it a chance. What do you expect me to do with this? Now we are back to something rotten wrapped in churchy language. Were you even supposed to be invited into this impromptu prayer meeting? Proverbs 11:13 says that “a gossip betrays a confidence.” Is that what just happened? Was a problem, an embarrassment, a struggle entrusted to someone, only to have him or her put that private pain on display? Perhaps the motives are less slimy than I’m suggesting. But Proverbs 16:28 holds a dire warning and a different motive you should know about: “A gossip separates close friends.” The harsh truth is that some will intentionally try to separate others with their words. Rather than using a meat cleaver, they have developed a surgical precision with the carefully placed whispers. Beware. Do you feel safe around such people? Well, you shouldn’t. Let me explain what they are doing when you are not around: the very same thing that is happening when you are in the room. Why would it be otherwise? 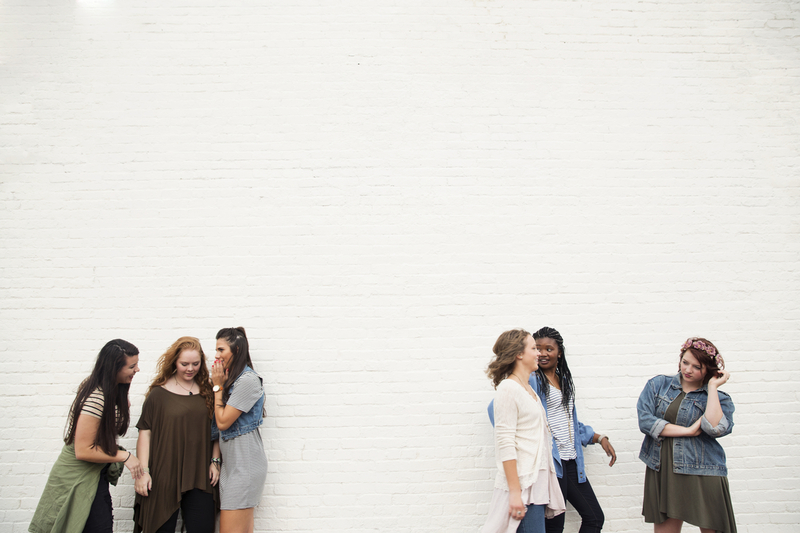 In a gossiping culture, no one is safe—including the gossipers. Trust erodes so gradually that people don’t even notice when it finally died. Do not let it go this far. Throw bright light on these words. Question one another. And then, with great love and courage, tell someone you are not playing along. Even then, be careful with those words you’re using. One of the best way to work against the wiles of evil is to encourage someone—when appropriate—to go back to the person being talked about. If you are that concerned, go to that person, but don’t let this go any further. In healthier cultures, no one is immune to gossip, but there is significant resistance to it. Take some of the perverse pleasure out of the “psst,” and it will decrease. But this is something that must be taught, talked about, and lived out. And then when anyone of us slip—and we will—it must be addressed as soon as you are made aware. Always be ready to offer grace. Do you see how all of this fits together? We’re not shocked by one another’s mistakes, but we will not allow them a foothold. 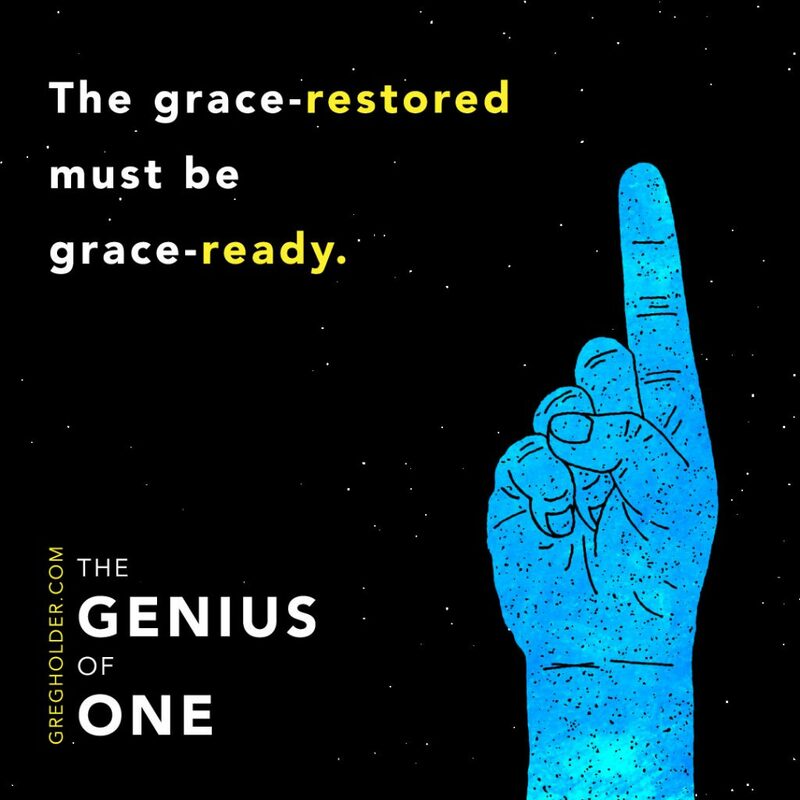 When the grace-restored are the grace-ready, there is a chance. There is hope. And this new way—though never perfect—will produce a culture that starts to reject the old ways. It’s quite possible that those who refuse to learn this new, better way will simply grow tired and move on. For many reasons, questioning one another in loving but direct ways is a good thing. That just doesn’t look right, does it? So often we are told in our world to never question ourselves. Go for it. It’s your life—live it. But when it comes to resisting the devil as he uses one of his favorite tricks, it’s entirely reasonable to question yourself before you go any further with that new information. Ask yourself: What was my first reaction to the news? Be honest here. Bracingly honest. What was your first thought after hearing this information? I knew it? Followed by a slight but undeniable smirk? An unholy gloat? You may be aware of the strange but telling word Schadenfreude. It’s a German word that comes from the combination of two words: Schaden, meaning “damage” or “harm,” and Freude, meaning “joy.” Harm-joy—that’s the word. It is the enjoyment derived from seeing or hearing about someone else’s troubles. Am I secretly rooting for that person’s failure? Our tolerance for these reports from the underbelly of someone’s life is often connected to an odd competitiveness with that person. Secretly we envy the attention he or she receives. We grow to resent his or her success. Why has God blessed his or her business or ministry so? At this point, discovering the truth is not even a priority. We are eager to believe the worst because it will make it easier to root against that individual. If you do not wish to see this person succeed, then these words are as lethal as they come. Am I already thinking of whom I will tell? More than any other question to ask ourselves, this may be the most diagnostic. When we hear sad or shocking words, our thoughts—if left unchecked by the Spirit—might run to who “needs” to know this information. If we apply the above questions to that moment, it is likely no one “needs” to know. When you or I start imagining how people are going to fall out of their chairs when they hear this—we have just revealed the true nature of our heart on this matter. We are all too eager to drop this little bombshell. This is gossip, and it must stop. If you are close enough to see the color of a cobra’s eyes, you are too close. Let’s kill this thing every time it rises in front of us with its hood flared, hissing the whisper of a secret. We can no longer tolerate gossip as a lesser sin on that disturbing list in Romans 1. Spend your good words extravagantly. Sprinkle them generously into conversations. Remember, they have the power of life and death. But they have the power of life. So stand with people and beside them, and when they are not in the room, stand for them. And on those days you stand beside them, watch for moments when you and only you will be able to speak from a place rooted in your own struggle. From there, you and only you will be able to speak strong words of God’s faithfulness. It is the prayer prayed close. It is a quiet but strong word that only a few will hear. It is a different kind of whisper. Our church is involved with an initiative by Living Water International to mobilize and connect churches to each one another—in places around the world and the United States. Because our particular focus is in the country of Zimbabwe, we eagerly hosted two influential leaders in the vast network of churches there. We hoped this would be an opportunity to encourage their very important work in a country still sitting on a knife’s edge. As it turns out, it was a chance for them to do the same for us. These visiting leaders know what it is to minister in the ruins of a neighborhood that was once something else. They know what it is to long for God to do a new work. They know about self-doubt and discouragement. They know about racial strife and outright conflict that has left scars on all sides—for this is Zimbabwe. They know what it is to pray for miracles, and they know what it is to hope, for God is doing something in their midst. Read chapter one for free now. These quiet, fervent prayers of elder statesmen, prayed over a young pastor who lives halfway around the world, will make the difference. The strong words spoken quietly breathed life. They kept telling him—barely above a whisper—that he was not alone. God was with him—and so were they. They told him he was not crazy for praying bold prayers and dreaming big dreams. When no one else was around, they spoke words that came from someplace personal, and those words went straight to the soul of a pastor God will use to change the world. With our mouths we can boast, curse, or poison. Or we can bring life, hope, and healing. Do not underestimate how powerfully damaging your words can be to others. As a public service, let’s stay away from those situations where we can do damage. It is more dangerous than we can imagine. But to whisper those words to another, you will need to be close. Keep reading an excerpt now for free. 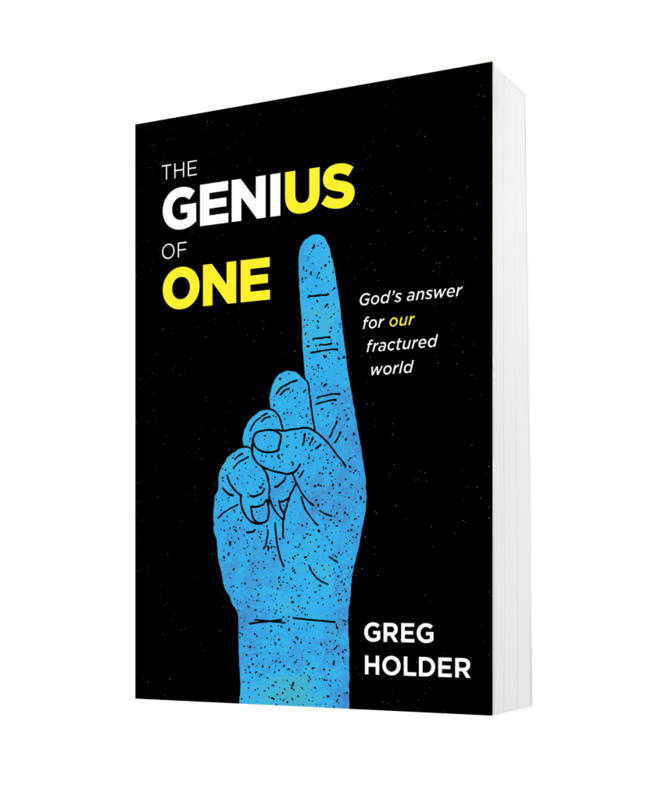 Get your copy of The Genius of One for 20% off. [ii] The first time I heard this word was in Jonah Goldberg, “Schadenfreudtastic,” The National Review, September 30, 2011, accessed March 28, 2017, http://www.nationalreview.com/corner/278819/schadenfreudtastic-jonah-goldberg. In our family’s narrative, my great-grandmother was always known for her aversion to gossip. When the idle chattering might turn to gossip, she made her concern known by walking out of a room (even if it was a Ladies Aid Society meeting). Not sure that is always the best approach, but she was loved and respected in her little rural community, so I imagine she must have taken action without judgment but with a clear view of what she stood for. Man! I want to read a whole other article starting there!